A proximity warning system, the BodyGuard, is now available from Orbit Communications , which provides a risk management solution for logistics centres where forklifts and personnel work in close proximity. Vehicle cabs are fitted with the BodyGuard vehicle proximity alarm unit, while personnel wear a small BodyGuard TAG device. The TAG device is detected by the proximity warning alarm unit in the vehicle to warn the operator that a person is in close proximity. 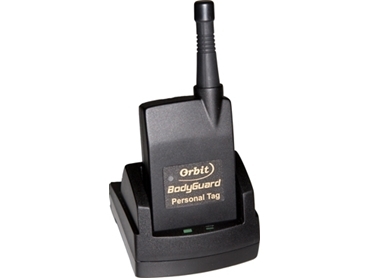 The BodyGuard proximity warning system works by setting up an invisible proximity warning detection zone around the vehicle which activates a warning alarm whenever a person wearing a TAG device is detected within the zone. The alarm is both audible and visual, effectively warning the operator to take care as something or someone is in close proximity and there is a risk of collision. The alarm deactivates automatically when the detected object moves outside the proximity warning detection zone. The BodyGuard proximity warning system has a flexible, user-programmable proximity detection zone from around 3m to over 100m. small excavators and forklifts on construction sites.